Eh hello, we are not ‘bbq’ing the baby ya! 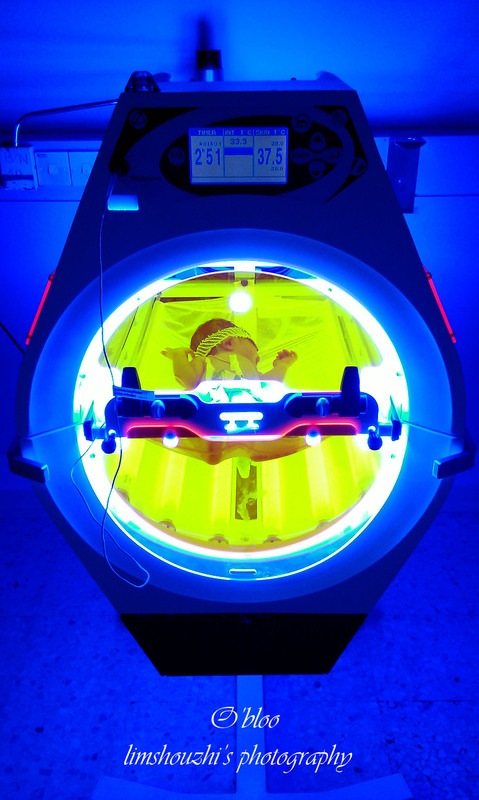 Recently there’s a company promoting this photo therapy machine to us, RM60,000 per one le! And what we used to do was put to triple photo the max, this one is even better! 360′ photo therapy!!! Of course we are not sending all the neonatal jaundice baby into this cute box, we only put them when their total serum bilirubin is more than 20mg/dl. And sharing with you, my personal experience, this baby initially TSB was 20mg/dl, after we put him under this machine for 4 hours, his TSB dropped to 16mg/dl. This entry was posted in Life, Little Medical Knowledge. Bookmark the permalink. Cool, didn’t know we have this stuff! I think it’s safer than to put two phototherapy lights plus another padded one below the baby, risk of burning the baby is higher. It’s a good investment, ask your boss to buy a few. Fact: Every baby/mother dyad is unique. A lactating mother’s body is always making milk. The emptier the breast, the faster the body makes milk to replace it; the fuller the breast, the more production of milk slows down. If a mother consistently waits until her breasts “fill up” before she nurses, her body may get the message that it is making too much and may reduce total production.